The key message from the meeting: come hell or high water, it is imperative to preserve the functioning of the banking system. Spain´s Vice President received a dose of humility when she tried to push the issue of “responsibility” telling her high powered German Bilderberg colleagues that they should issue Eurobonds to save the system. The reply was more than telling: “go pound sand, little girl,” is how Bilderberg high powered elite replied to “Soraya´s” baseless pretensions. Eurobonds are guaranteed by Germany but would be spent mostly by Europe’s PIIGS. The sense of panic was growing as the weekend progressed and deliberations became more and more tense. Unlike Spanish citizens, Bilderberg has access to a complete data on deposit money flight from Spain which they believe to be twice the announced 66.2 billion euros in March. “March was an eternity ago in financial terms,” as one Bilderberg noted. Hard numbers speak for themselves. The debt of Spanish financial institutions is 109% of Gross Domestic Product, twice the amount in France or Germany, and three times that of the United States. Unpayable loans in the construction sector are 40% of GDP in real terms, and not the 20% the Rajoy government has been selling to the world. 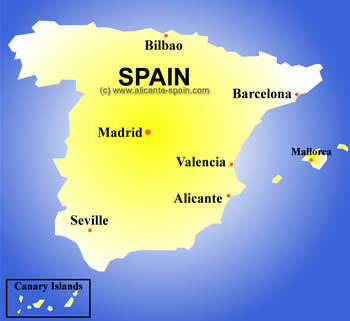 Another Bilderberg stated that “The problem with Spain is that its construction sector is an 800kg gorilla in a china shop,” as large as the entire manufacturing sector. By contrast, in Germany, construction is 20% the size of manufacturing. Another Bilderberg pointed out that one year ago, the ratio of financial-sector debt relative to Gross Domestic Product declined from US$8 trillion to $6.1 trillion. One trillion dollars of these loses can be attributed to the collapse of Lehman Brothers, JPMorgan Chase’s purchase of Bear Stearns, and the Bank of America-Merrill Lynch merger. 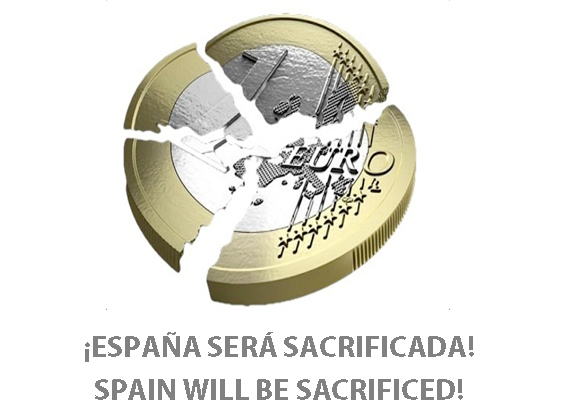 In conclusion, the Spanish banking system including Spanish bank held debt of Spanish households are going to die. As I stated on record on May 31, Spain´s leading bank, Banco Santander has an unpayable debt of over 800 billion euros. Bilderberg obviously knows this. Metastasis has spread to all parts of the system. Shadow Masters have spoken and the script has been written. It remains to be seen how long the actors take to play out their parts. There is a solution. Spain must immediate leave the euro and go back to being an independent nation-state republic.